Welcome back my fellow Disney fan girls and fan guys! 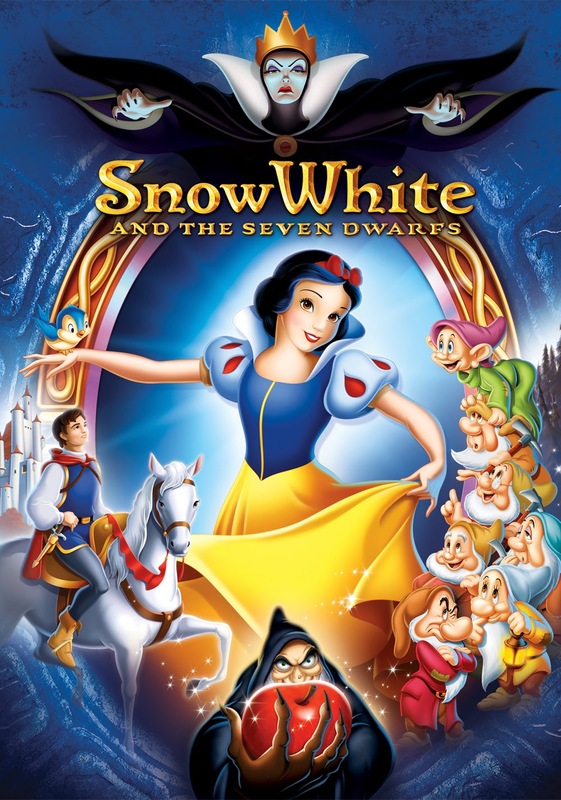 Today's Disney history lesson will be on the world renowned Disney classic Snow White and the Seven Dwarfs! Let's take a closer a look at this beautiful story in the wonderful world of Disney. Snow White and the Seven Dwarfs first premiered in Hollywood on December 21st 1937 but was not available in theaters until February 4th 1938. It was the first full length animated feature film ever made and the first movie to have released a soundtrack album. Walt Disney claimed that he came up with the idea of creating an animated version of Snow White and the Seven Dwarfs when he watched a silent film version of the tale as a 15 year old in his hometown, Kansas City. There was much contradiction about the making of this movie because it was being created during the Great Depression and many of Walt Disney's coworkers, friends, family members, and even his wife tried to dissuade him from continuing the production. They believed that people were struggling and were more focused on improving their lives than they were about sitting in the movies and watching a cartoon fantasy about dwarfs. The Hollywood Film Industry even went as far as calling Snow White and the Seven Dwarfs "Walt Disney's Folly" because of how much they believed it would be a failure. But they were proven wrong. Walt Disney put his life and career on the line when he invested $1.5 million dollars into the production of the movie but it was all worth it because the movie made a grand total of $8 million dollars. The profit of the movie helped Walt Disney build Disney Studios in Burbank, California. No other film had made that much money up until that point. 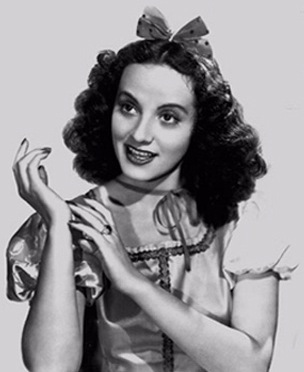 Snow White was voiced by Adriana Caselotti and was portrayed as being a 14 year old which makes her the youngest of all the Disney Princesses. Walt Disney wanted to keep the voice of Snow White special so he had Adriana Caselotti sign a very strict contract saying that she would never be allowed to perform on stage, radio, or film again in order to preserve her voice only for Snow White's character even though she was a classically trained singer. She only "appeared" once more in the entertainment industry when she had an unaccredited speaking part in The Wizard of Oz (1939). In the scene where the Tin Man sings "If I Only Had a Heart" she is the voice in the background that says "Wherefore art thou Romeo?". The Prince was voiced by Harry Stockwell. He is believed to be portrayed as an 18 year old but this is a commonly disputed fact as none of the Disney Prince's have official ages. When the movie was first released the prince was unnamed and was just referred to as The Prince but once the Disney Princess Franchise was established in January of the year 2000 he was given the name Prince Florian. Snow White and the Seven Dwarfs was originally a German fairy tale known throughout Europe by word of mouth. It was officially published by The Brothers Grimm (Wilhem and Jacob Grimm) in 1812. The story was named Sneewittchen (meaning Snow White in German) and was Tale 53 in the book Grimms' Fairy Tales. The original story is known to be somewhat more gruesome. Click here to read about the the plot differences in the movie and in the original story. The movie is said to take place in the fictional land of Far Far Away where time doesn't exist but the original story takes place in Germany during the 1500's. If you have not seen this film yet I highly recommend that you do especially because it was voted #1 on the American Film Institutes List of the top 10 greatest films in the genre "animation" in June of the year 2008. Well that's all for this Disney History Lesson! Join me next time as we uncover the historic wonders of Disney.